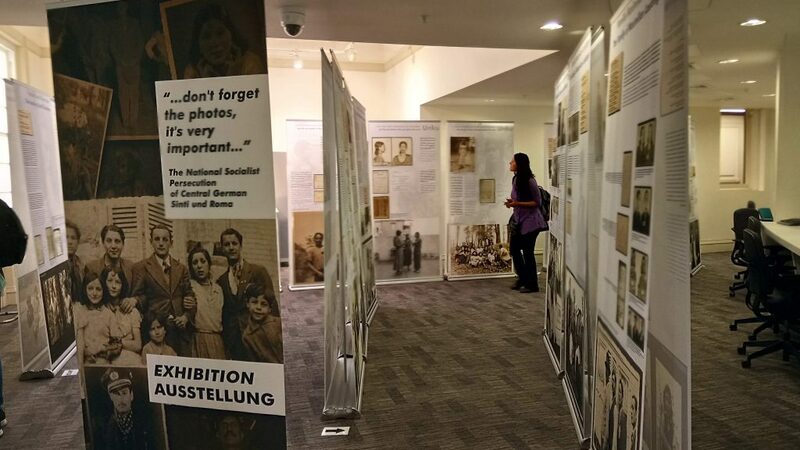 Having previously been displayed in Dessau-Roßlau (for the 2018 annual commemoration of the liberation of Auschwitz), the exhibition titled “…don’t forget the photos, it’s very important…” The National Socialist Persecution of Central German Sinti and Roma is currently being displayed at the Liverpool Central Library until 26th May 2018. Many of the photographs used in the exhibition originate from the Georg Althaus Photographs here at Special Collections and Archives. 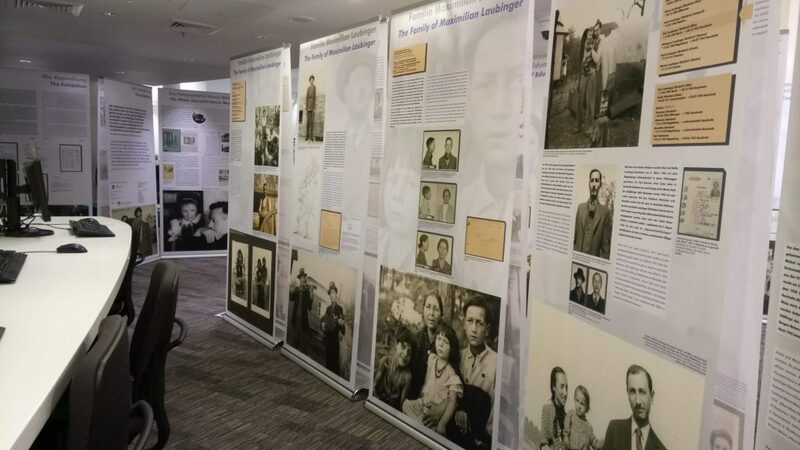 The exhibition presents case studies of the persecution of German Sinti and Roma (‘Gypsy’) families under National Socialism between the 1930s and 1945. Most of the images are photographs of members of nine Sinti and Roma families, which were taken by the photo-journalist Hanns Weltzel (1902-1952) in and around his home town of Dessau-Roßlau. The exhibition coincides with the 75th anniversary of the mass deportation of Germany’s Sinti and Roma (‘Gypsies’) to Auschwitz concentration camp, which included many of the individuals featured within the photographs. For the launch of the Liverpool leg of the exhibition, Radio Django Berlin (a Gypsy-Jazz string band led by Janko Lauenberger, grandson of a Sinto Holocaust survivor who figures in the exhibition) performed music described as “the original sound of Django Reinhardt and Stephane Grappelli meets 21st-century Gypsy-Jazz”. 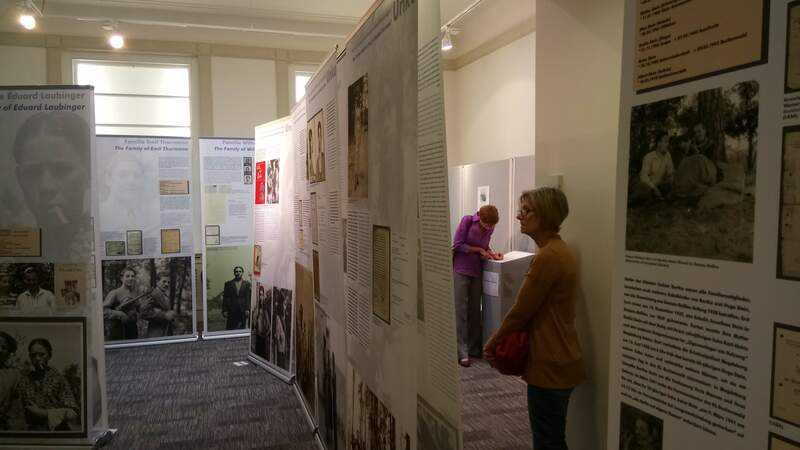 Prior to this, co-curators Eve Rosenhaft (Professor of German Historical Studies, University of Liverpool), and Jana Müller (Alternatives Jugendzentrum Dessau) presented the stories of the victims and survivors captured in the photographs. The event took place as part of the Writing On The Wall Fest (WOW Fest) – a snippet of the musical performance and photographs of the event are available on the WOW Fest Instagram. For more information on the exhibition and guided tours led by Professor Eve Rosenhaft, please do see the WOW Fest website. Information on the Gypsy Lore Society Collections and related material can be found on our webpages. This entry was posted in Gypsy Collections by scastaff. Bookmark the permalink.